Gadgets, gadgets, everywhere – but do they really work when it comes to fitness? Some may just serve to waste a bit of time or to cause more confusion than they’re worth, but some really might just help your fitness. Here are five gizmos to help boost your workout. 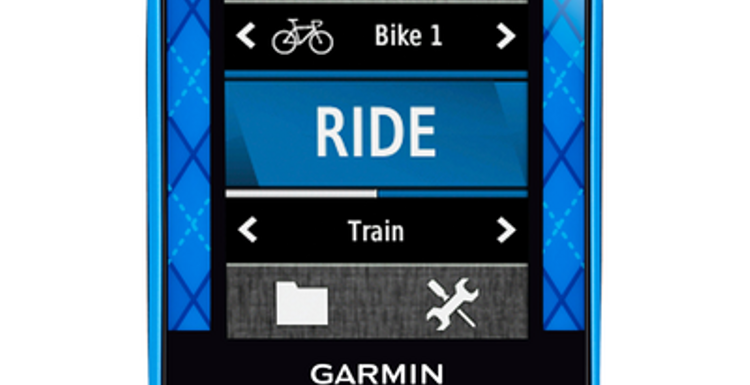 At £249.99, although pricey, the Garmin Edge 510 is great for the cycling enthusiast. It mounts onto the handlebars so you can see your speed, distance and elevation, with a touchscreen that even works when you’re wearing gloves! Everything is measured by GPS so it’s really simple to work and connects wirelessly to other compatible gadgets such as heart rate monitors. All info can then be downloaded onto your smartphone. Walkers rejoice – this inexpensive (£22.95) pedometer tracks your steps and records distance and calories burned. 3-D sensor technology means that rather than wearing it on your wrist like a watch or your ankle, like a convict, you can carry it in a pocket or bag. It also has a seven-day memory. This one is for the true techies out there, as it does pretty much everything you could ever want it to. At £219.99, it’s not cheap, but it has an advanced heart rate monitor which uses a light to monitor you, built in GPS to track distance, route and speed, and all information can be wirelessly transferred to your smartphone. Swimmers can keep track of their laps, speed, distance, calories, stroke length, and efficiency with this handy little gizmo. Once you’ve reached your target distance or time it vibrates to let you know. This one’s currently on the market at £90 with a download clip that costs an extra £30. This one’s the absolute Mothership of fitness gadgets. It’s for all sports and is steep in price, at £289. Worth it you might say, considering it tracks swimming, cycling and running, providing heaps of useful info, it’s got GPS in-built, an altimeter and a whole host of other wonders, like tracking your open water swimming, and a virtual racer allowing you to race others. As much as I'd love one of these, I can't justify spending so much money on them. It's nice to see some budget options here as well - often it's hard to find anything which is well reviewed and regarded without having to spend at least £100 - I'll be taking a good look at these cheaper trackers. call me old-fashioned, but I like gadgets that are worn like a watch, I don't want to carry a bag and many of my clothes don't have pockets! This really makes you wonder what on earth will be on the market in another 5 years time? All these will be delegated to ebay listings and we will still be relying on new fancy gadgets to try and motivate us when all we need are the basics. I asked for a Garmin for Christmas as one of my goals for the year is to enjoy sport/exercise outside of the gym as well as in - I didn't get one but I'm hoping there will be some good deals in the sales!